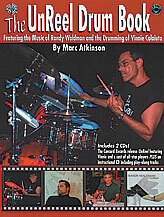 Musicians and teachers alike will love the analysis, transcriptions, and great music this book offers. The UnReel Drum Book contains a detailed and clear analysis of the playing of one of the greatest drumming legends ever, Vinnie Colaiuta. The opening exercises help to build a solid foundation of understanding and playing the many rhythms and phrasing ideas found throughout the Concord Records release UnReel, which is also included. 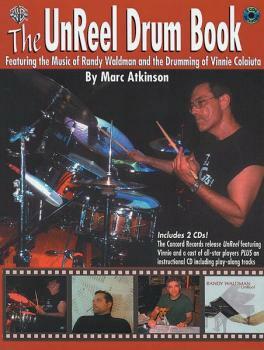 On the second CD, the drum solos have been sequenced and slowed down allowing players to follow and play along to help understand the intricate details that make Vinnie's playing so unique, along with two tracks from the original UnReel CD re-mixed without drums to play-along with.